The two major elements of working capital of a company are current assets and current liabilities. The assets which are readily converted into cash are considered as Current Assets while Current liabilities are those debts which fall due for payment within a short duration. Account receivable is a current asset account, which represents the money to be received by the company, against the goods delivered or services rendered to the customers. On the other hand, accounts payable is a current liability account, indicating the money owed by the company to the suppliers, and appeas as a liability in the company’s Balance Sheet. Many accounting students get confused amidst these two terms, but there is a fine line of difference between account receivable and account payable. Meaning Money expected to be received by the company in the future for the goods sold and services rendered to the customers on credit. Money expected to be by the company in the future for the goods bought and services received from the suppliers on credit. Concept Amount owned by the entity towards debtors. Amount owed by the company towards creditors. Components Bills Receivable and Debtors. Bills Payable and Creditors. Accounts Receivable refers to the amount to be received by the entity in the future specified date for selling goods to the customers on credit. It reflects the money owed by the customers towards the company. It appears on the assets side of the Balance Sheet, under the head current assets. Bills Receivables and Debtors constitute the Account Receivables. Credit Policy: This includes decisions regarding credit period, discount rate, early payment, etc. Credit Analysis: This includes decisions regarding whether a particular customer is allowed extended credit period or not. The techniques used in this regard are the evaluation of credit ratings, past credit history, etc. Collection Policy: The Timely collection of receivables enables the reduced risk of losses. Control on Receivables: This includes follow-up of debtors and faster collection of debts. A short-term obligation, need to be discharged in the future, arising out of the purchase of goods or services received or expenses made is known as Accounts Payable. It includes trade payable i.e. bills payable and creditors, and expenses payable like an advertisement expense, electricity expense or expenses on supplies, etc. It represents the money owed by the company towards suppliers and creditors. Accounts Payable appears on the liabilities side of the Balance Sheet, under the head current liabilities. It is quite natural that the entities on credit buy goods. They are one of the major sources of finance for the company which arises very often, in the normal course of business. 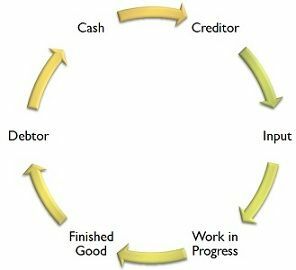 It is the duty of the company to pay the creditors in time because slow payment of debts will hamper the whole supply cycle, which in turn spoil the working capital cycle of the company. This will also have an ill effect on the reputation of the company. This should be kept in mind that the company should effectively utilize the credit period, allowed by the creditors. Moreover, they must use bills of exchange to pay the debt in place of cheques. Accounts Receivables shows the cash expected to be received in the future, for the sales made on the credit basis. Accounts Payable is the cash to be paid within a short period, to the creditors for the sale of goods and services. Accounts Receivable is shown under the head current assets while Accounts Payable appears under the head current liabilities in the balance sheet. Accounts Receivable represents an amount owned by the company whereas Accounts Payable represents the amount owed by the entity. Accounts Receivable reflects the amount to be collected at a future specified date, but Accounts Payable discloses the debt to be paid at a later date. Accounts Receivable increases cash, but it is just opposite in Accounts Payable. Accounts Receivable is the result of credit sales. In contrast to, Accounts Payable, which is the outcome of credit purchases. The two primary components of accounts receivable are bills receivable and debtors. On the other hand, bills payable and creditors are the essential elements of accounts payable. As we all know that every coin has two aspects and the same is the case with accounts receivable and accounts payable. If there are accounts receivable for a particular company, this will surely be accounts payable for some other company. Both of them are important for a company for its survival and smooth running. Full control over the accounts receivable and accounts payable should be there, for efficient working capital management. Thank you mam for sharing the difference between account receivable and account payable. This is very helpful for me and others.